SAN JUAN – The typical comic book thriller culminates with a superhero fighting an evil villain. In Edgardo Miranda-Rodriguez’s “La Borinqueña,” the title character fights not a mere villain but, rather, a hurricane. 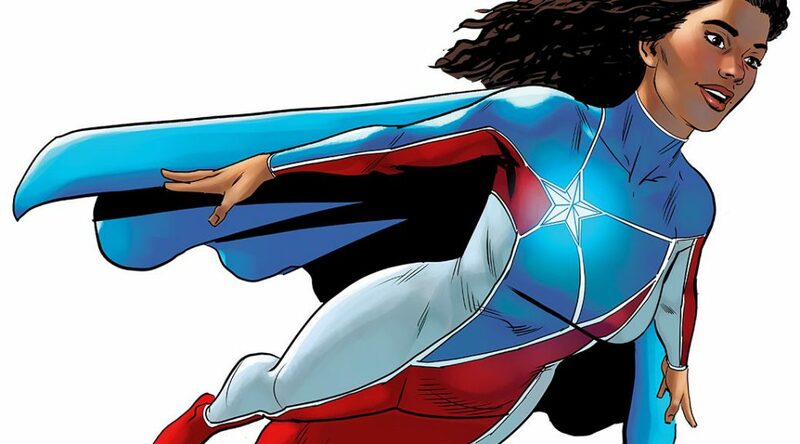 An art director, designer, and most recently a graphic novelist, Miranda-Rodriguez created La Borinqueña, a female Afro-Boricua superhero who represents Puerto Rican culture and identity. His comics also address hurricanes and other environmental issues threatening the island. La Borinqueña translates to “the Puerto Rico woman” in Taíno, the language of the island’s indigenous people. It’s also the name of Puerto Rico’s national anthem. The La Borinqueña of Miranda-Rodriguez’s comics is not only female, already rare in the comic book world where just 12 percent of protagonists are women, but also a person of color. Miranda-Rodriguez was born in New Jersey and grew up in the Bronx, but lived in Puerto Rico during his formative years of 13 and 14. “There are many people who live in a space of duality,” he said. La Borinqueña—Marisol Rios De La Luz—also lives in this space. In the comic, Marisol, an undergraduate student majoring in environmental science at Columbia University, leaves her home in New York City to study abroad for a semester in Puerto Rico. While exploring caves on the island Marisol encounters the Taino goddess Atabex, who grants her superhuman strength and the ability to fly and control storms. 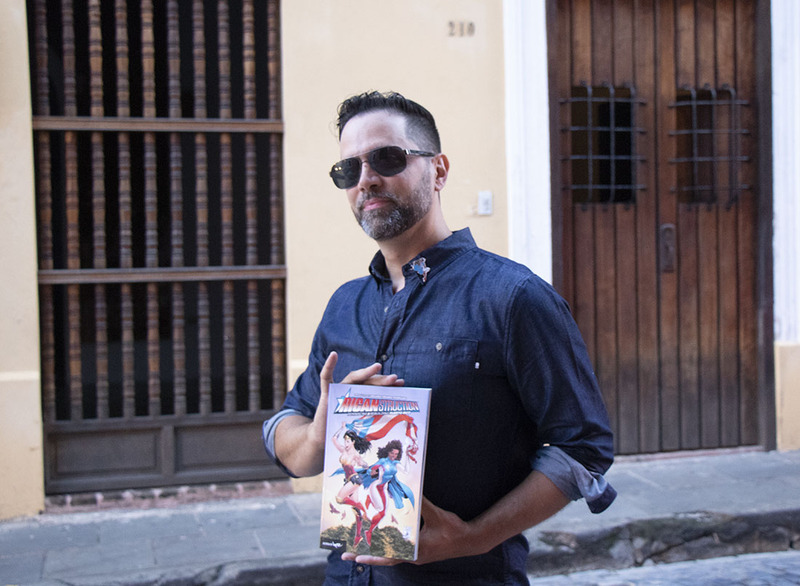 “La Borinqueña” was released in December 2016, nine months before Hurricane Maria. In the end, the antagonistic force that La Borinqueña fights is not a villain, but rather a hurricane that leaves the island leveled. “Hurricanes are ingrained in Puerto Rican popular culture—there are popular songs, paintings, art—always about hurricanes. It’s part of our culture,” Miranda-Rodriguez said. Not only are hurricanes a constant looming threat to Puerto Ricans; they have also faced a slew of other environmental issues in recent years. In 2015 an extreme drought crippled the agricultural industry. The coastline is receding due to rising sea levels. And Maria only exacerbated preexisting issues such as contaminated drinking water and coal ash in the air. Miranda-Rodriguez had already started on the sequel to “La Borinqueña” when Hurricane Maria hit. News of the storm left him devastated. “I was kind of numb,” he recalled. Two weeks after Maria, Miranda-Rodriguez found himself attending Comic-Con in New York City. It didn’t feel right, and all he could think of was the devastation on his beloved island, when Dan DiDio, the co-publisher of DC Comics, approached him and complimented his work. Miranda-Rodriguez thanked DiDio, then asked him what they were going to do for Puerto Rico. Within a few days they had agreed on a proposal—an anthology comic book with the proceeds benefiting the island. “Ricanstruction,” Miranda-Rodriguez’s second book, was released in May, and 100 percent of its proceeds support organizations serving Puerto Rico. Many of its contributors are Latinx and female, including actress Rosario Dawson. In September the La Borinqueña Grants Program awarded $10,000 grants to nine Puerto Rican organizations that promote health, climate change advocacy, youth empowerment and education. The intention of these grants is to empower Puerto Rico—not in a colonial way—but by enabling Puerto Rico-based, grassroots organizations to address needs they see in their own communities. Miranda-Rodriguez used La Borinqueña’s character—and her commitment to science, female empowerment and patriotism—as a gauge for awarding the grants.